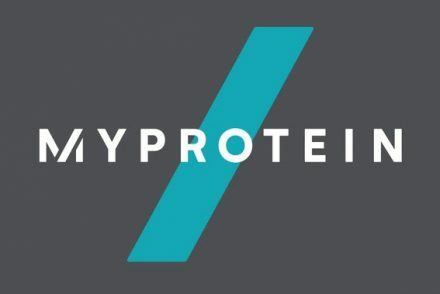 [Reviewed] 9 of the best MyProtein flavours in 2019! We’re guessing you haven’t gotten around to making a decision yet. Let’s face it, choosing a new flavour of protein can be hard. Especially if you’ve got a tried and tested flavour already. But whether you have or you haven’t chosen yet, we’re here to help – as we all know it’s nice to change it up from time to time! So the good news is, in this post, we’ll talk you through a range of MyProtein flavours that we think will get your mouth buds watering. 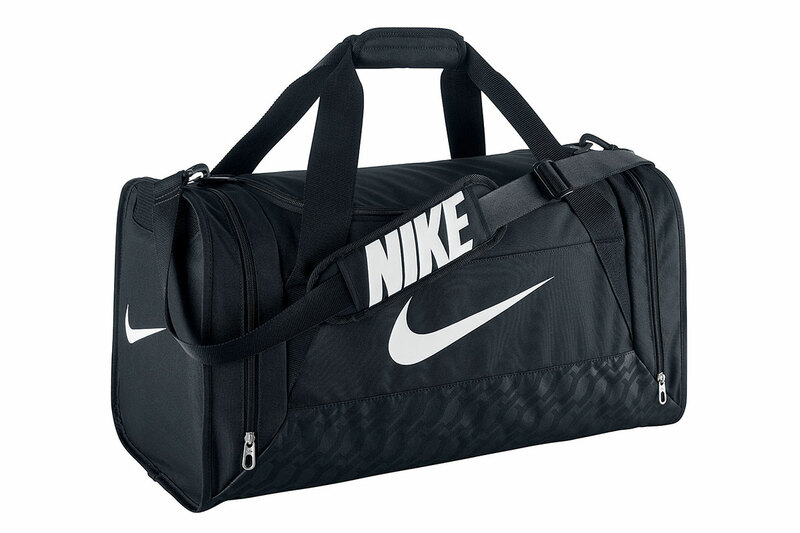 And getting you well on your way to more gains. How open minded are you about actually trying a new flavour of protein? Just imagine you unbox that protein delivery, mix up a new flavour and it tastes great. How would you feel if you discovered an awesome new flavour? The Blueberry Impact Whey Protein is one of our favourite MyProtein flavours. And our favourite fruit flavour for sure. Mainly because there is no artificial taste to it, like you can get some other flavours. It has a bit of a sweet taste to it. We give the MyProtein Blueberry flavour a 5/5. If you like the Blueberry flavour, we think you’ll love this one too. It’s very similar to the standard Blueberry flavour. But as it’s the cheesecake flavour, it has an overall creamier taste, as you might expect from a cheesecake. It’s a little less sweet than the fruit flavour. We give the Blueberry Cheesecake flavour a 3/5. Have you ever tried “After Eight” mints from Nestle? If so, the Chocolate Mint MyProtein flavour tastes a bit like that. We love this one. The minty flavour adds something different to the regular Chocolate taste, so it’s a little bit refreshing. A great MyProtein flavour for post workout. We give the Chocolate Mint flavour a 4/5. The Chocolate Peanut Butter MyProtein flavour has a good smell, a good taste and is slightly creamy. We’re big fans of adding peanut butter to our shakes anyway, so we generally skip over this flavour. But if you want the peanut butter taste without the added calories real peanut butter provides, this might be a good option for you. We give this one a 4/5. If you want a MyProtein flavour that won’t foam, this is the one for you. No matter what we (and others) tried, you won’t get this to foam no matter how much you shake your shaker. Try blending it with some cashew milk, a banana, and some peanut butter for a really great texture and taste. We give the Chocolate Smooth flavour a 4/5. The Rocky Road MyProtein flavour is basically just chocolate. You can’t really taste the marshmallow that you’d expect from a regular Rocky Road dessert, although there’s definitely a hint of it there. That being said, it’s a great choice for chocolate lovers. Tastes great with water or almond milk. It also tastes like a bit like a waffle cone when we make protein pancakes. We’d recommend this over the regular chocolate MyProtein flavours. We give the Rocky Road MyProtein flavour a 5/5. Many people usually go with a standard Strawberry, Chocolate or Vanilla protein flavour. But the Salted Caramel is one of the best MyProtein flavours if you’re looking for something a little bit different. It tastes exactly as you’d expect from the name. A little salty, but a nice caramel flavour to go with it. Try adding some ice and blending it together. We think it’s worth a try! We give this flavour a 4/5. Obviously Strawberry is always a safe choice. But we think the Strawberry Cream MyProtein flavour is a bit nicer then just the regular Strawberry flavour. It mixes extremely well, but can be a little sweet for some. We give the Strawberry Cream flavour a 3/5. Yep! You read that right. Don’t drink this by itself, obviously. But MyProtein also sell bottles of flavouring. Or you can mix it in with fresh (or frozen) fruits, veggies, whatever you like! You can also add the unflavoured protein to pretty much anything you cook. So if you’re feeling fancy, throw it in with your rice, ramen, or whatever it might be! Unflavoured whey works perfectly as an addition to hot chocolate in the morning! We give the Unflavoured protein a 5/5. Simply because you can do so many things with it. Tried and tested. If you’re looking for a safe choice, the Vanilla MyProtein flavour is guaranteed to be a good bet. 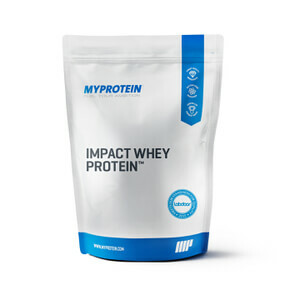 Overall, MyProtein Impact Whey protein is great for taste and mixability. And at a great price point too. Goes well with milk (almond milk), ice, frozen fruits and veg, fine oats, peanut butter powder, maltodextrin, yoghurt. We give the standard Vanilla flavour a 3/5. It does it’s job, but it’s not overly exciting by itself. There are two types of people in this world: those who judge something before they have even tried it. And those who are prepared to try something and base their opinion on their own experience. Either way, if you really can’t decide, have a spin of our random flavour generator below and let us choose for you! Give me a random flavour! Most people buy a couple of different flavours so they can change it up each day. That way, once you get tired of one flavour you can easily switch between them and keep things fresh. Or you can have different flavours in the morning and post-workout. At the moment, James is rocking the Blueberry and Salted Caramel flavours, whilst Sam is staying more traditional with the Rocky Road and Chocolate Mint. Do you already have a favourite flavour? Discovered one recently that you really liked? Or maybe even one you’ve tried and hated? Let us know your thoughts in the comments below… we’d love to keep the discussion going! If you’re looking for something else to go with your protein, check out our review of the Top 5 MyProtein Supplements. Thanks Asaf! We’re happy you like the Blueberry Cheesecake. I prefer the standard Blueberry flavour myself. We’re sure you’re going to love the Chocolate Mint if you give that a go. What about the quantity of protein per serving. I heard its different for different flavours. Which ones have the highest protein? Hey Atif, great question! For the Impact Whey Protein, all the flavours contain 21g of protein per serving. There might be a very minimal difference between flavours (we’re talking milligrams) but that’s it. So not something we’d really worry about when choosing a flavour from their Impact Whey Protein lineup. Hope that helps! How many scoop of whey isolate should take a day? It depends on your body shape/size and goals, Joe. We have anywhere between 2 & 4 shakes a day, based on the 1.4g – 2g protein per kilogram of body weight rule. Each shake is either 1 or 2 scoops depending on the time of day. But you should use something like If it fits your macros to calculate how much protein you need per day and supplement with shakes (after you’ve consumed real food) to reach that protein target! 5 ways to fix posture: How to fix your posture for optimal workouts!